This is an outrageously loud costume perfect for Halloween. The Adult Hippie Man Costume ensemble comes with a vest, shirt, pants, belt and headband. The long-sleeved shirt comes in a white knit fabric with red trim around the cuffs and collar. There is a floral psychedelic design on the vest and the pants. The base of the vest has red fringe tassels hanging from it. The pants have floral psychedelic print and designed as bell bottoms. 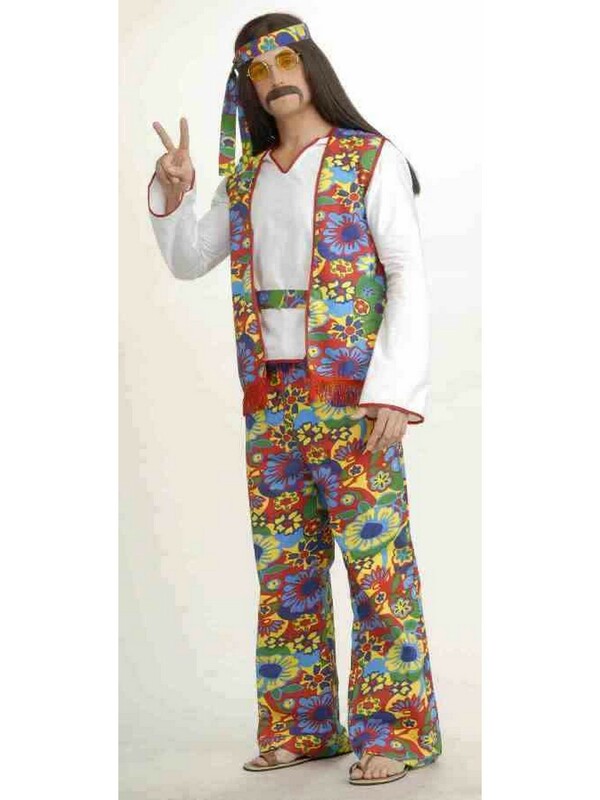 This is one groovy costume!